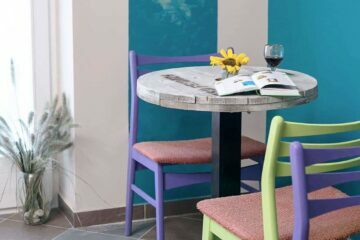 Hostel Jones in Sliema, Malta - Is it the BEST Hostel in Malta 2019? 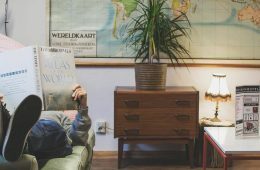 How to book Hostel Jones? 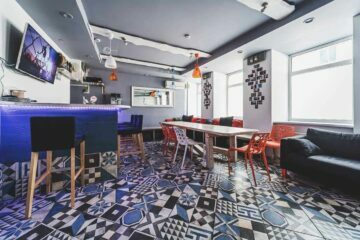 You just found our #1 recommendation for best hostels in Sliema, Malta. Genuinely, Hostel Jones is the accommodation we recommend to our friends, family, and to you! You will like it! Planning to stay at Hostel Jones? Please use the links provided above. Let’s combine a great travel destination with a fantastic budget accommodation! 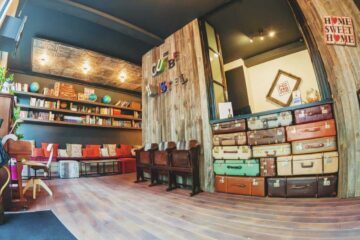 Hostel Jones brings hostels in Malta to a new level. Managed by the local Trevor and his team, Hostel Jones offers true back-packer accommodation with plenty of comfy features. Wondering where to stay in Malta? Then check out our NEW guide to the 3 best hostels in Malta. 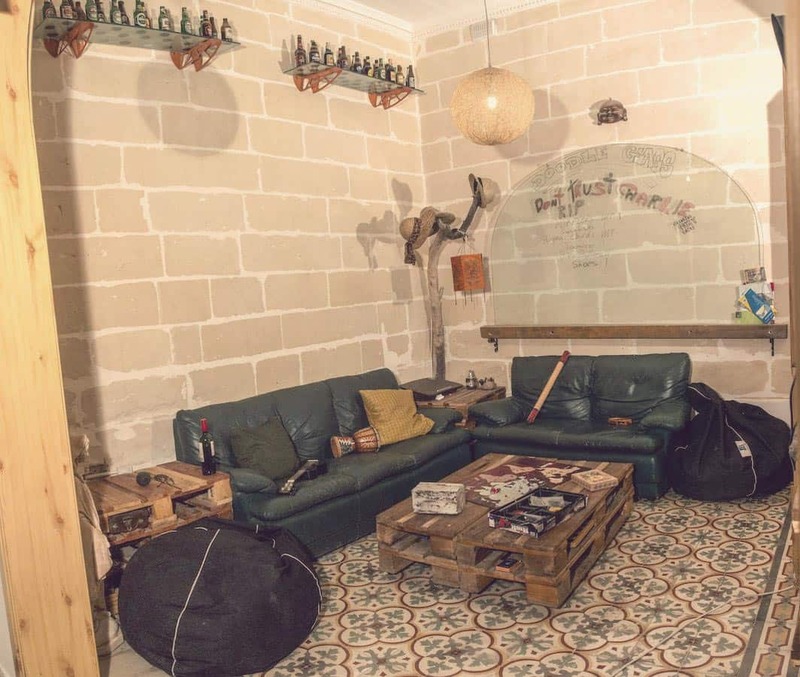 Let’s jump right into the boutique hostels here in Malta, St. Julians, Gozo and Sliema. 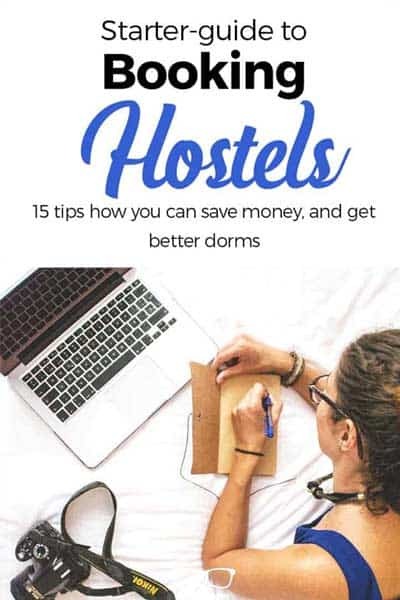 You see, Hostel Jones is not on the list. Yet, it is a fun backpacker hostel to stay in. Built with more than 95% recycled Materials, the atmosphere at Hostel Jones is cozy and unrushed – a perfect reflection of life on the island. Let us walk through the different floors of Hostel Jones. 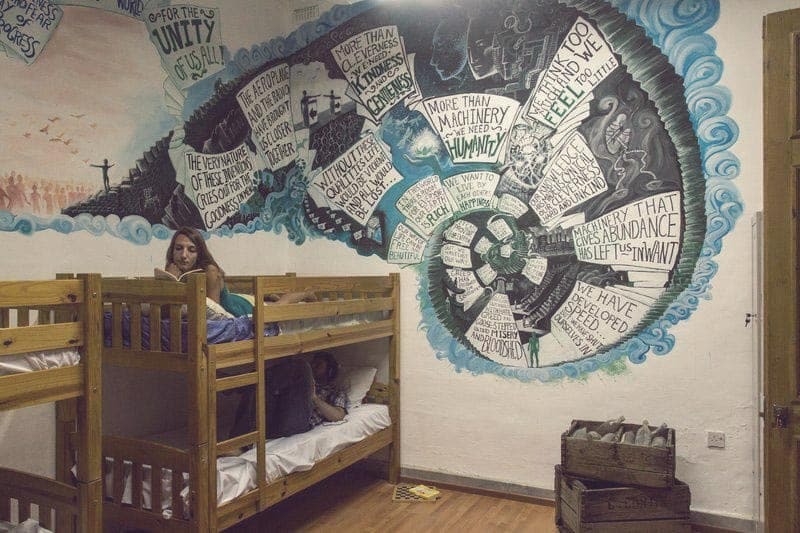 Hostel Jones is an uber Eco-friendly hostel bursting with local art and passion. 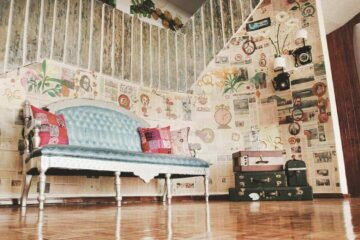 The hostel’s interior design was created by local artists and artists all over the world turning every single element into a piece of art. Have a glance at the differently styled dorms and private rooms and you’ll find world-class artwork. The island of Malta itself is a a hidden gem for travelers backpacking Europe. Especially in Summer you can enjoy a gorgeous landscape, Mediterranean climate and Italian influenced cuisine. 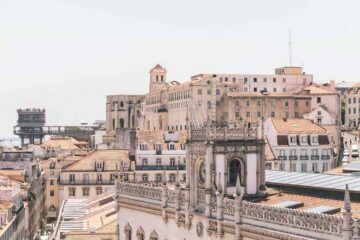 The Mediterranean is now loaded with fantastic Boutique Hostels all around. Have a look as well at Caveland Santorini, the 5 Star Hostel in Santorini. 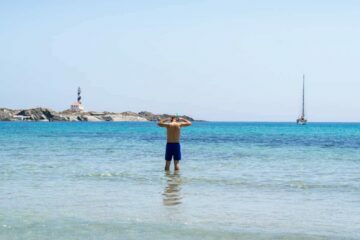 Also, the famous island of Rhodes is the home of STAY Hostel, the 5 Star Hostel in Rhodes. Hostel Jones is managed by the Maltese Trevor and his team. Furthermore this hostel built with more than 95% recycled materials – yes, 95%! 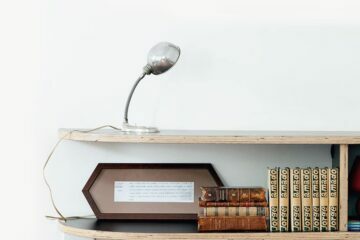 All materials are re- and upcycled, turned into fancy, Malta-styled furniture. All rooms were designed by different Maltese and international artists. 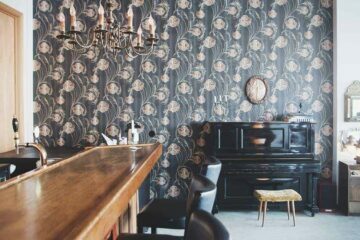 As we mentioned, Hostel Jones interior design is created with more than 95% up-cycled materials. 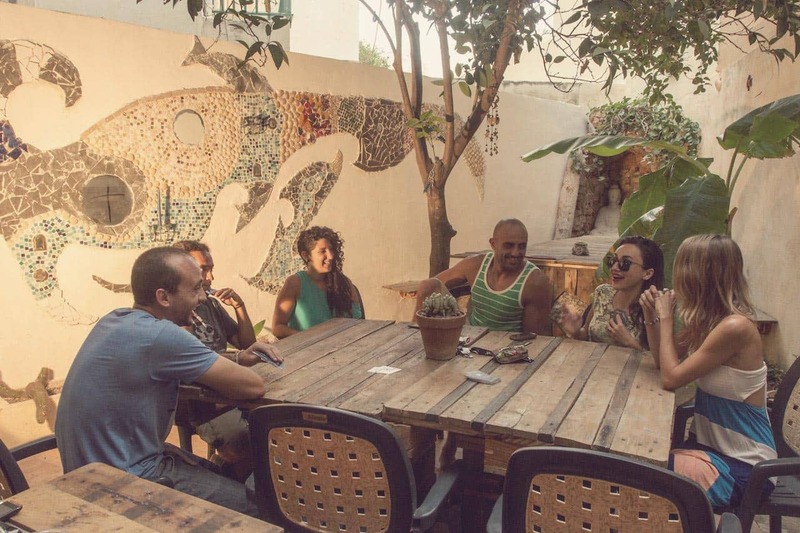 This uber Eco-friendly hostel is bursting with local art and passion throughout the hostel building. 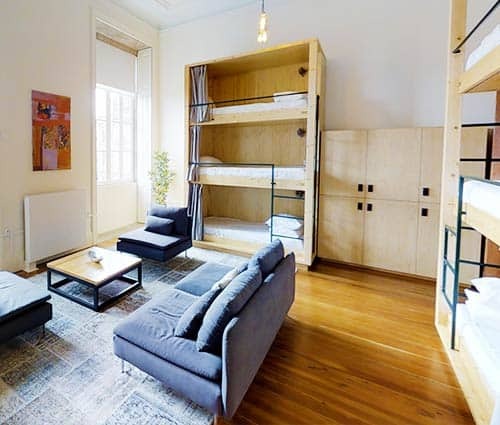 The design of Hostel Jones is kept in the lifestyle of Malta. Easy-going, different and alternative. Malta is also known for a slightly alternative destination. 3. Islands lifestyle – NO RUSH! The hostel’s style and design give it a unique character. 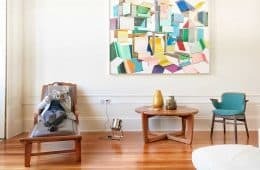 All the up-cycled couches, beds, wall papers, and so on are made in a very creative way and you can find inspiration for your own craft work at home if you want. Also, there are several special events at Hostel Jones including concerts and artistic fire art. The atmosphere at Hostel Jones is cozy and unrushed – a perfect reflection of the island way of life. You can just hang around the hostel, and meet fellow travelers all day long. There’s always something going on during the evening and night as well. 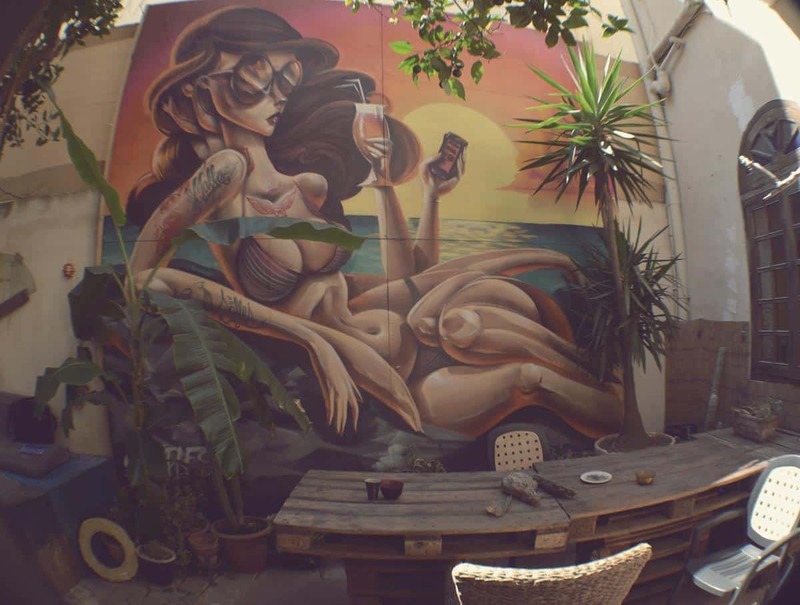 Hostel Jones is a hip backpacker hostel. 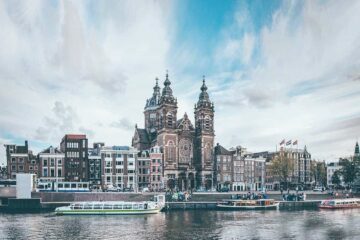 Check out all 7 types of hostels here. The people are the key to a pleasant hostel stay. Just ask anyone at the Jones and you will get cool authentic tips for Malta! We especially loved the tip about the BBQ beach spot next to Marsaxlokk. Curious? Just subscribe to our travel guide Malta. We included our best 5 secret tips for Malta here. 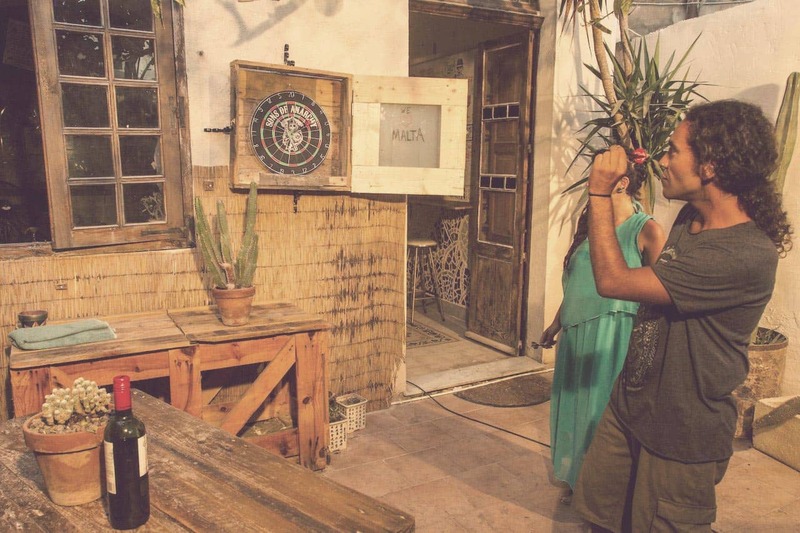 Check out our NEW guide to the 3 best hostels in Malta. 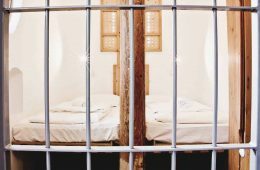 Fancy a promo code for Hostel Jones? Who doesn't?! Now, there is no easy way to say this: Currently we do not have a valid discount for Hostel Jones. 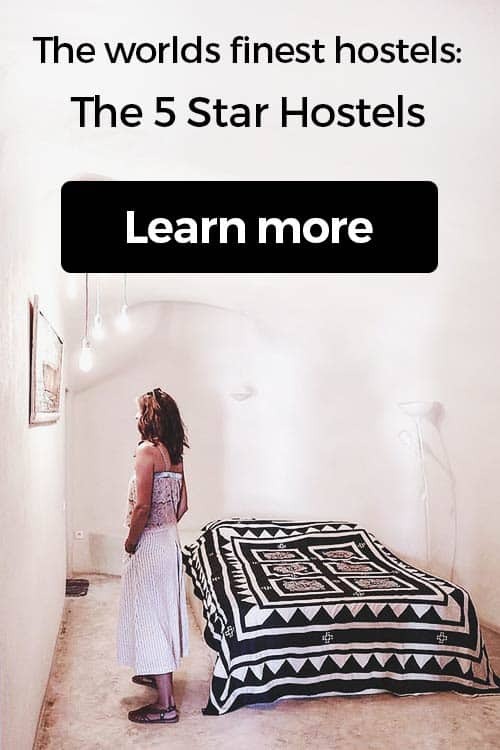 We are working on getting more promotional codes for Hostel Jones in Sliema, Malta and all the other top hostels we reviewed for you. You were looking for the absolute BEST hostels in Sliema, Malta? You just found it! Hostel Jones is the top place we recommend to our friends, family and to you! 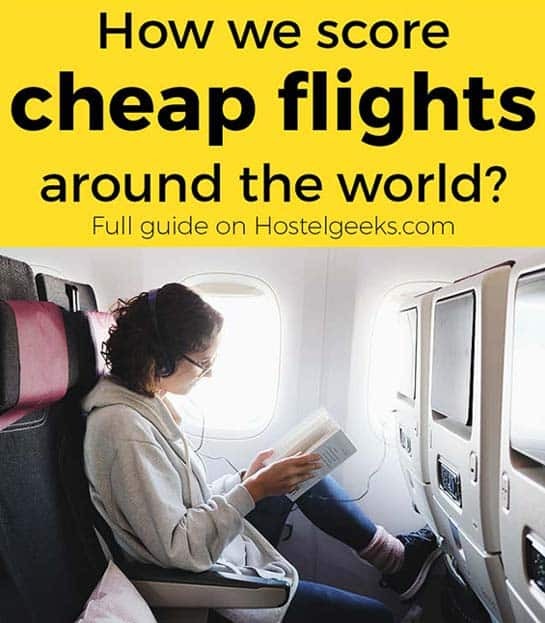 Update April, 2019: How to find flight deals to Sliema, Malta? Still looking for cheap flights to Sliema, Malta? We LOVE Kiwi.com. You can search here with a so-called "radius search". It is incredible easy to find sweet flight deals to Sliema, Malta and area.